August’s peaches and raspberries are ready for January’s recipes. Planning ahead is key to local eating in the winter months. January is a month of fresh starts, and a time when many of us resolve to adopt new eating habits, or to at least give our bodies a break from the decadent foods of the holidays with some cleaner, simpler fare. For those who wish to eat locally, this can be a challenging month, because fresh local fruits and vegetables are harder to come by these days. You can still find local meats, grains, locally roasted coffee, preserves and storage crops like potatoes, winter squash, onion, garlic, turnips and the like. Learn about the local food system. Decide which items you’d like to buy locally and research where to find those in our area. Get to know farmers in your area. One place to start is by listening to the interview Ted Schubel recently did with three local farmers and Fredericksburg Food Co-op board member Richard Larochelle. Find it here. Plan ahead! A little planning can leave you with many more local food options when winter rolls around. 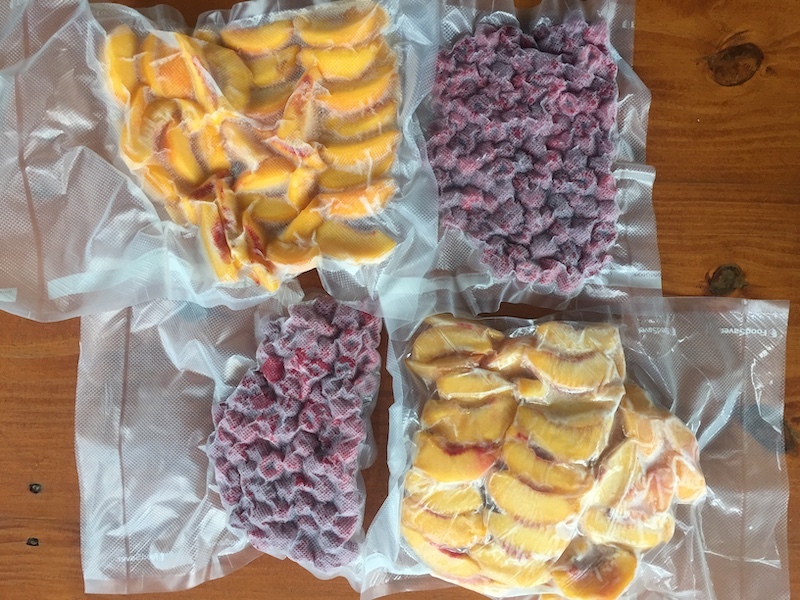 Freezing fruits and vegetables when they are in season is one of the simplest ways to enjoy local produce year-round, but the winter months are also a great time to learn about canning, pickling and other methods of preserving the harvest. Equip your kitchen now to make the most of the 2019 growing season! Learn about the local growing calendar. No, you can’t have local watermelons in May, but you will find strawberries, asparagus and tender peas. Knowing when food comes in season locally can help you plan for the year ahead, and ensure you won’t miss an opportunity for a family berry-picking outing. This chart at our area’s local farmers market page is a great place to start, but climate change does mean that our food seasons are changing, and many farmers have used innovations like tall tunnels to extend certain crops’ seasons. Talking to farmers at markets and doing some online research can make you a more informed eater. Assess your shopping habits. What can you change about the way you buy food that will make your diet more locally based? Find out which farmers market is closest to your house and mark its hours on your calendar so that you can make it a regular stop in your shopping routine. Consider whether joining a Community Supported Agriculture program at a local farm would be right for your family. Think about small steps you can take to put more local food on your plate. Join the Fredericksburg Food Co-op! Your membership makes you part of a local movement working hard to bring a locally owned, sustainable grocery store to the region. It also connects you with like-minded foodies from around our area. Attend our events to learn new cooking techniques, discuss the ways our food consumption impacts our environment and trade tips with other members on great local food sources. Why wait? Join here.